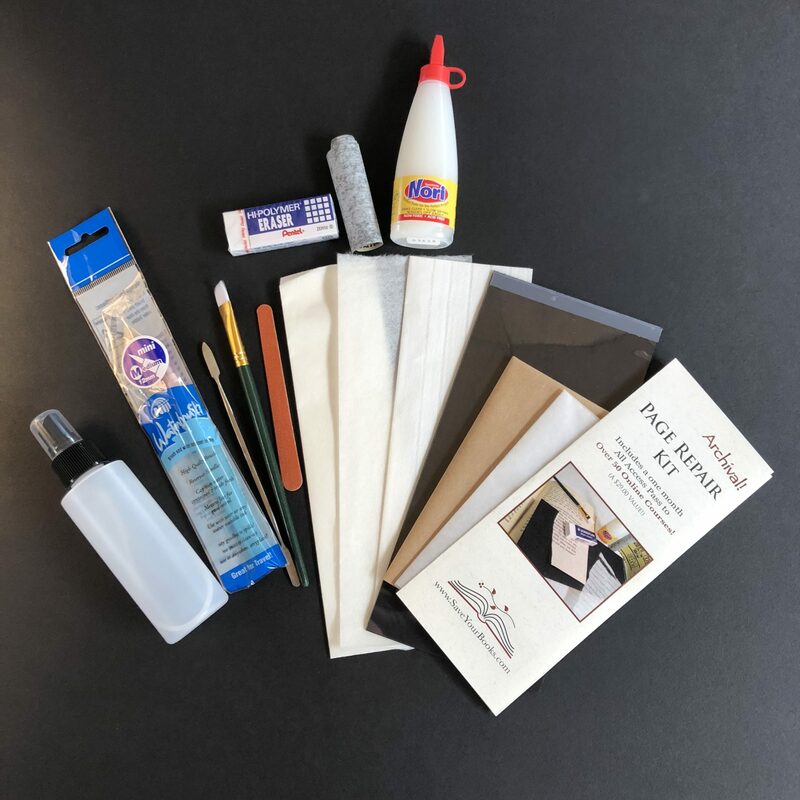 This archival page repair kit will help you repair many different kinds of pages from bibles to children’s books. It comes with a Free one month All-Access Pass so that you can watch the longer how-to videos on the members only page. 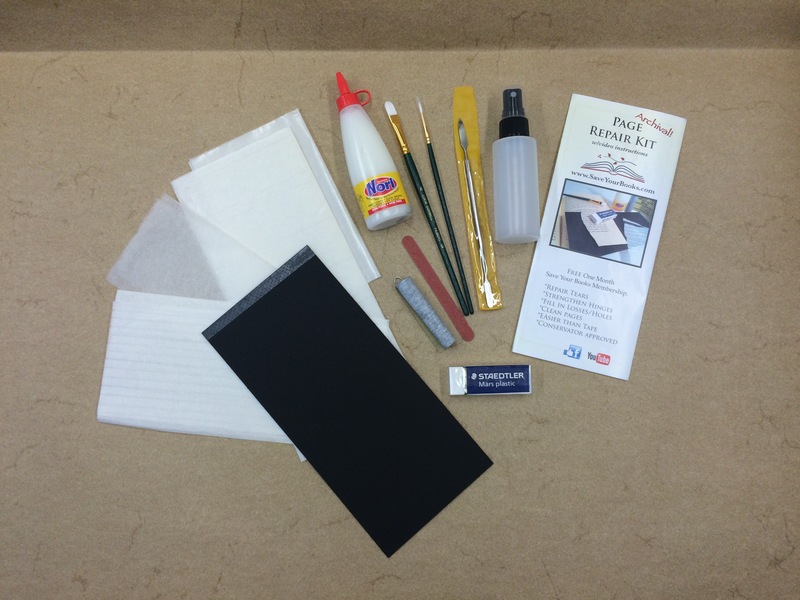 The Page Repair Kit comes with a one month All-Access Pass to the Save Your Books Courses! 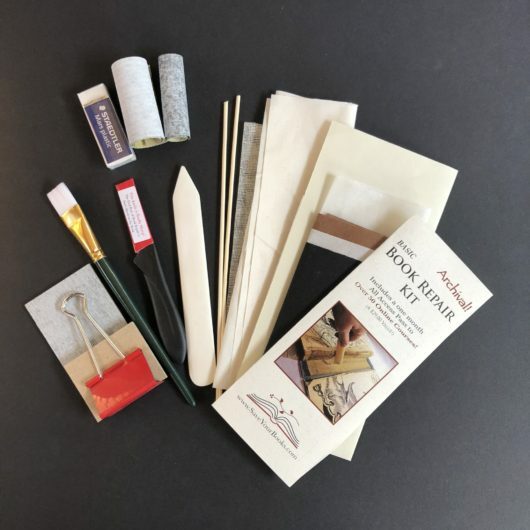 This archival page repair kit will help you repair many different kinds of pages from bibles to children’s books. 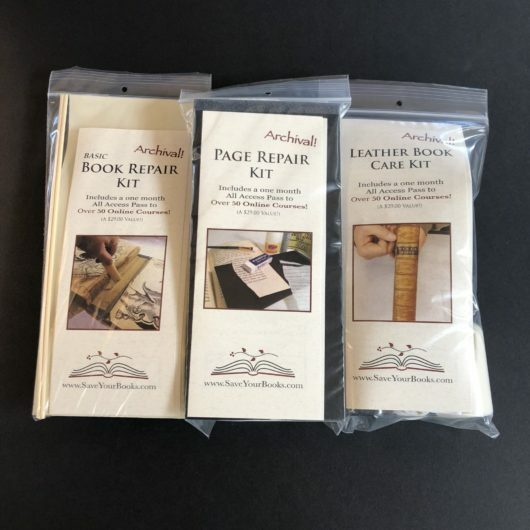 It can even help you fix holes in pages and tip loose pages back into your book. 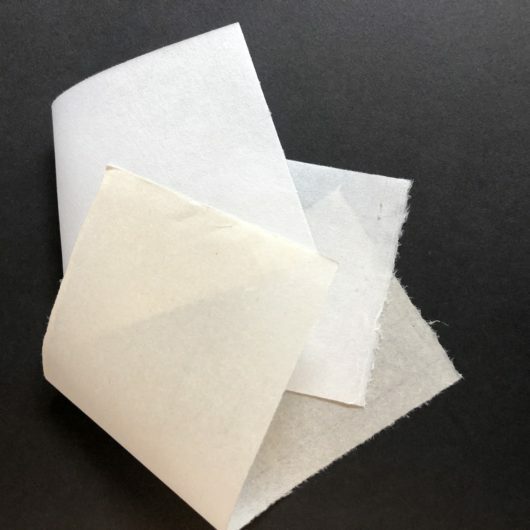 It contains a light Japanese tissue and a heavier Japanese tissue as well as some Japanese hinging tissue that is easy to pull apart in strips. The shadow tracer will help you shape the tissue to the exact shape you need for your tears. Not all tears are straight. 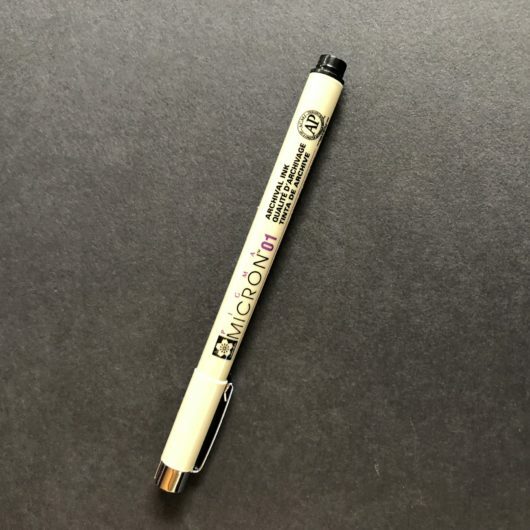 This is much easier to use than book repair tape and is super easy to reverse with a bit of water in case you put it in the wrong spot and need to move it over a bit.